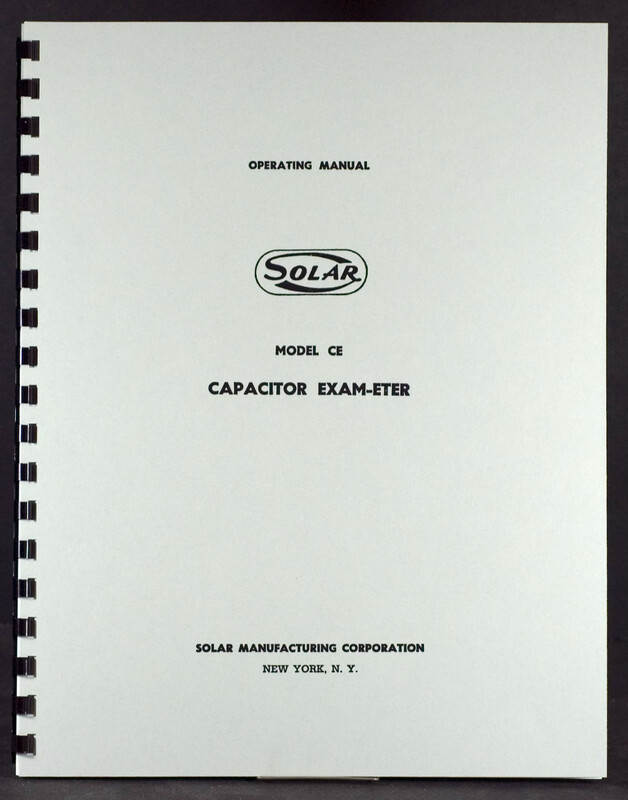 For sale is reprint of Solar Model CE Capacitor Exam-Eter Operating Manual. 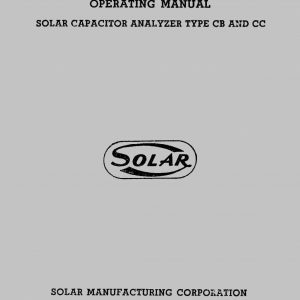 Manual is 12 pages long and includes Part List and Circuit Diagram. Manual is dated 1941. If you own or purchased this rare Capacitor Tester and lack manual, here it is. Original manuals are harder and harder to come by.